After seeing the movie “Unbroken”, directed by Angelina Jolie, I went back to my Kindle archives and reread the book by Laura Hillenbrand. I just completed reading the book. There is so much more than the material presented in a two hour movie. The book is divided into five sections. The first section covers the pre-war period and Zamperini’s war experiences up to the point where he becomes a bombardier. 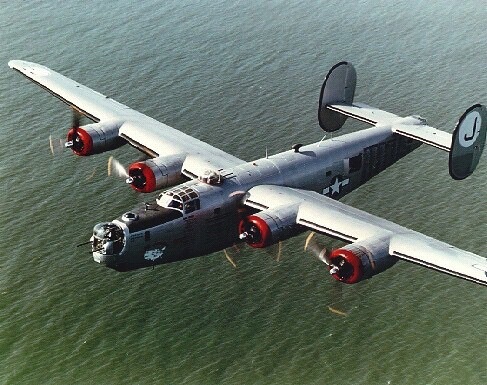 Section II covers his early experience as a B24 bombardier up until the point where his B-24 crash lands in the Pacific. So far the book and movie are pretty much in sync. Section III covers the experience in the lifeboat. Louis Zamperini, Russell Allen Phillips (the pilot) and the Francis McNamara (the tail gunner) were the only survivors. They survived for 47 days at sea before being captured by the Japanese. Movie and book still pretty much in sync. Section IV covers Zamperini’s experiences at various Japanese prison camps. Particular attention is given to Mutshuhiro “The Bird” Watanabe. Watanabe was a Japanese Sargent in charge of some of POW camps where Zamperini was imprisoned. The book and movie both cover “The Bird” but the book goes into much more detail on the living conditions and the prisoner abuse at the hands of “The Bird” and other Japanese guards. The book mentions that most POW guards were the dregs of the Japanese military. They were the stupidest and the most troublesome. They could not make it in the front-line military. Go read the book. Bird went into hiding after the war for seven years before all war crime charges against the Bird and other guards were quietly dropped. Bob Simon interviewed Watanabe for “60 Minutes” back in 1998. Here is a pointer to that interview on youtube. The book talks about the arrival of the B-29’s in the Spring of 1945 in raids on Japan The POW’s quickly figured out the the B-29’s had to be based fairly close since the B-29’s were arriving early in the day. 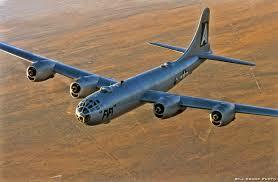 At first, only a few B-29’s arrived over Tokyo, but eventually hundreds of them were bombing Japan. Go read the book. One point that the film misses is that the POW’s were to be executed if Japan lost the war. The deadline for that action was August 15, 1945. The Atomic bomb probably put the fear of God into the Japanese. After the A bombs were dropped many of the guards headed for the hills. Go read the book. I suppose that there is only so much material one can fit into a two hour film. The film misses so much. Section V covers Zamperini’s life after the war. The film barely touches his post war experience. The film shows Zamperini arriving home and that he lived happily ever after. Go read the book. The film misses so much in this area. The film misses the PTSD, the alcoholism, the nightmares, etc. Most of the returning POW’s really had to struggle to return to a normal life. The book covers so much more than the film. So what are you waiting for, go read the book. The first link in this post is to the Amazon Kindle entry for “Unbroken”. Go read the book. This entry was posted on January 12, 2015 at 4:53 am and is filed under Books, Movies, Reviews. You can subscribe via RSS 2.0 feed to this post's comments.